A walk along Dubrovnik's city walls is sure to be a highlight of your visit to this beautiful city. The walls that surround the historic centre are 2 km long and it takes about 2 hours to walk all the way round. While walking along the Dubrovnik's city walls you will enjoy the views of the lively squares, impressive fortresses and the hidden narrow streets. The best way to see the City walls is to take a guided tour with a local guide. From the walls you will see Lovrijenac Fortress which rises up on a 37 m high cliff, walk on the top of St John's Fortress at the entrance to the Old Harbour or climb Minceta Fortress – the highest point of the City walls. On the sea-side section of the city walls you will enjoy the views of the crystal clear Adriatic Sea and the island of Lokrum. Along the way you will see the top sights such as Great Onofrio's Fountain, the Bell Tower, Sponza Palace, Franciscan Monastery, Dominican Monastery and Dubrovnik's Cathedral. If you wish to avoid waiting in long queues to buy City walls tickets, you can purchase them through Viator web site. Once you purchase them the local supplier will send you their voucher to print it within 48 hours after your booking. You need to exchange that voucher for entrance ticket in the office located at the beginning of street "Široka ulica" (second door at the right side when entering the street from Stradun). Walking along the city walls is a unique experience which can be done on your own or by taking one of many guided tours both group or private. Such tours are available throughout the year with morning and afternoon options. Some of Dubrovnik's sites have been used as settings for the popular TV series "Game of Thrones". 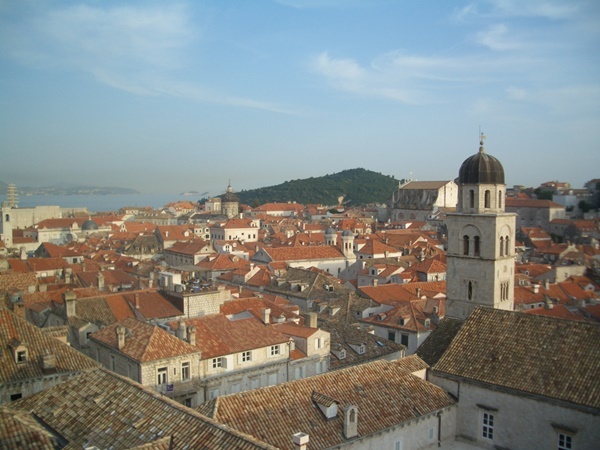 A special treat for fans of this series is the "Game of Thrones" guided tour during which you'll get to know the fictional city of King's Landing while exploring Dubrovnik's UNESCO listed Old Town. Once you enter Stradun through the Pile Gate, there is an office on the right-hand side where you can purchase tickets for the City Walls tour. Tickets can be paid by credit cards or Croatian Kunas - no Euros accepted. The main entrance to the walls is located on the left-hand side. Please note that Dubrovnik Card includes a free visit to the City walls. Dubrovnik-Neretva County residents - free with ID at the entrance. Dubrovnik City Walls are open all year round except on 25th of December (Christmas Day). Check out in the table below opening times month by month.